One again we’ve reached a bit of a reboot for Doctor Who, as happens every few years when a new producer/script editor/Doctor arrives. In this case it is, firstly, a new producer, in the shape of Graham Williams. I want to say that Williams’ simply didn’t get Who, and wasn’t prepared for the mammoth task that is producing Doctor Who, but that would be a little ingenious. He had conditions given him by the chiefs, primary among them to tone down the horror and violence, to make it more family friendly again. This, in itself, results in a radical shift. The gothic, serious series of the previous three years gives way to a much lighter series, with an emphasis on adventure and humour. The stories are still as good as ever, more or less, but they’re a bit more sci-fi and less gothic horror, with a large chunk of the season taking place in space and/or on alien planets. Which, as ever with Doctor Who, works against the show. Doctor Who has never been very convincing when creating alien worlds, and the latter half of the 1970s has especial problems with creating convincing spaceships. Star Wars came out during the course of this season, and although Doctor Who had always done sci-fi stories, the way in which they do them changes under Williams’ guidance, influence by the success of Star Wars. It’s brave, but ultimately futile as all it does, in my view, is create a very cheap look. The departure of Robert Holmes mid-way through the season doesn’t help. 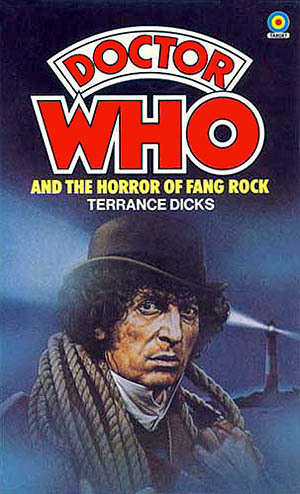 A bit of the gothic horror carries over in such stories of Horror of Fang Rock and Image of the Fendahl, but it no longer fits the cheaper looking series, with its focus on humour and the ever-expanding influence of Tom Baker on the scripts. In the case of Image of the Fendahl we’re presented with a script that would have fit perfectly in any of the previous three seasons, but here it just feels unbalanced, the visuals never quite matching the potential of the story. Let’s talk a little about Leela. Now, as I’ve mentioned, I love Leela. I love the idea behind her, the way the characters evolved in her first few stories. But, poor Louise Jameson, all the promise in the concept is totally wasted this season, and she’s left fighting against scripts and a producer/script editor who simply do not understand the character. Unschooled, to Williams and Anthony Read, equates stupid and instinctive, savage. A simple warrior who, for reasons that are purely aesthetic and publicity-centred, remains in her leathers. It’s beyond a shame that neither producer nor script editor understood the character as, after Horror of Fang Rock, she simply ceases to develop. Is there any surprise Jameson chose to leave the show so soon? Although she wanted to return to the stage, I’d wager that if the promise of Leela was followed through, as per the end of the previous season, then Louise Jameson probably would have stayed longer. Alas, it wasn’t and Jameson decided it was time to move on to new things leading to one of the most ridiculous departures – probably the most pointless since Liz vanishes between seasons, and certainly right up there with the casting off of Dodo and then Ben & Polly. The final story of the season was written by producer and script editor, and they can give all the excuses they want, but it would not have taken much to have written in a good exit for Leela, instead of simply tacking it on to the end with no build-up at all. A failure to even try and understand the character results in an awful departure. And, in terms of television narrative, we never see Leela again, although we do hear of her once more, when the Doctor next returns to Gallifrey. Ah, the Doctor. This is, for me, the beginning of the end of the Fourth Doctor. Gradually, throughout this season, we see the character of the Doctor go through some radical changes. 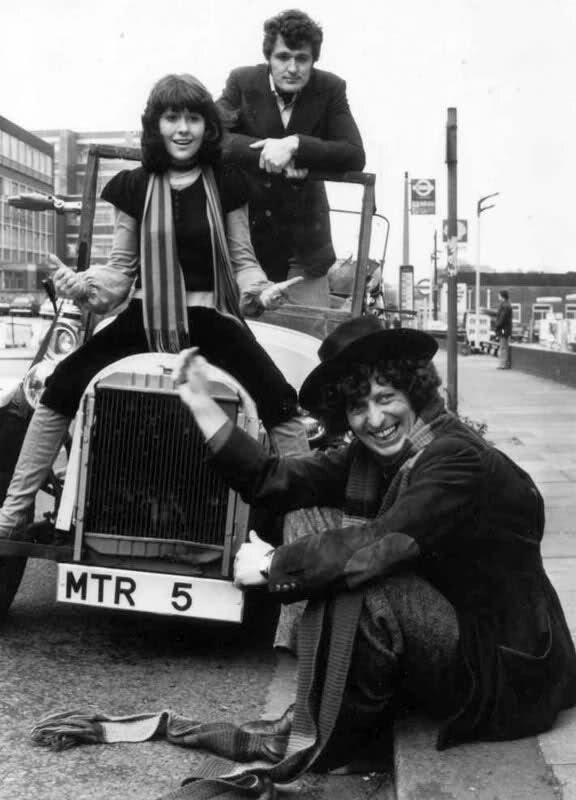 Not due to any creative intention of the production team, but simply because Tom Baker’s personality begins to dwarf those who are, or should be, in control of the series. 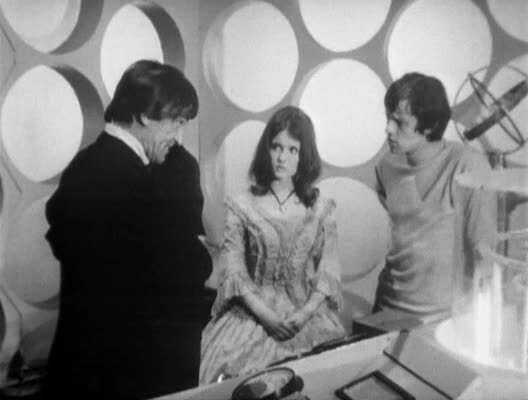 Baker becomes increasingly more difficult from herein, lacking the respect he had with and for Philip Hinchcliffe, and takes to making judicious alterations to the scripts regardless of the wishes of the writers, directors or producer. And it shows. By the end of the season Baker’s performances is going off the rales. Talking to camera, pushing forward humour, and, in my view, coming close to turning Doctor Who into a science fiction farce. Oh yes, and this season introduces us to K9. I’m sure you’ve heard of him. Personally I’ve never seen the appeal, although it’s hard not have some kind of affection for the little metal mutt, simply because he ends up in the show for a long time. Four years, not counting multiple return appearances. I’d need to check the figures, but I have a feeling he may well be the longest running companion, although it may appear less as he’s often side-lined by the necessity of filming since, as a prop, he’s problematic. I’d agree with Anthony Read in that K9, much like the sonic screwdriver, became something of a plot cheat. Too clever, and too easy a thing to use to get out of danger, instead of forcing creativity on the writer to come up with more interesting alternatives. So, season fifteen. A very mixed bag. A season that speaks of experimentation as the new producer tries to work out what kind of show he wishes it to be. A season in which the lead actor starts to exert his ownership (mistakenly or not, jury’s still out). A season of cut budget leading to very cheap sets and make-up. It’s not quite an indulgent pantomime yet, but it’s on the way to becoming so, as the producer and script editor begin to lose control and the lead actor takes command, in a way an actor ought never take control. As such, this season is easy for picking best story. 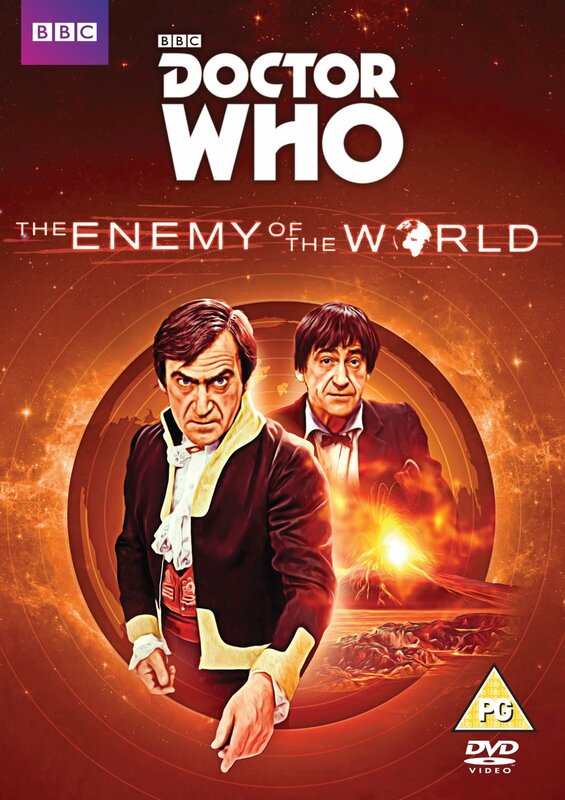 This is a season of endings… The end of arguably the most successful Doctor/Companion dynamic, and the end of the greatest three years of Doctor Who with the departure of Philip Hinchcliffe as producer. But, if it is the end, then why not go out at the height of your powers? Everything that made season thirteen so great is still in abundance here, although for me this is the lesser season. Yet it contains two of my all-time favourite Doctor Who stories, one of which is usually ranked among the best Doctor Who adventures of all-time in the annual Doctor Who Magazine poll. Despite this, it also contains one of my least favourite stories ever, and three mediocre stories. This all comes down to personal taste, of course, and is not meant to take away from the facts that every single story this season is incredibly well-written, with very high production values and continues to showcase some of the best acting talent of 1970s British television. For the first time since 1970, Doctor Who steps out of the shadow of UNIT, with its ties to that illustrious organisation severed by the departure of Sarah. 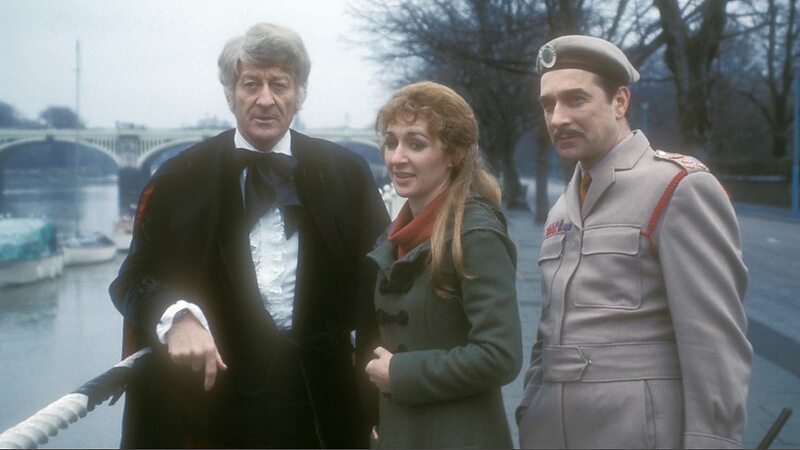 The Brigadier and company only got one mention, in Sarah’s goodbye scene, never to be mentioned again until the 1980s. And although so many endings were coming, this season does present us with something new (or at least confirms something that many suspected), when the Doctor and Sarah comes across the ‘secondary’ control room. A Jules Verne style wooden affair. It’s a lovely piece of design work, and fits in so well with Hinchcliffe/Holmes that it’s a pity we only see it this season. If only they had introduced it sooner. 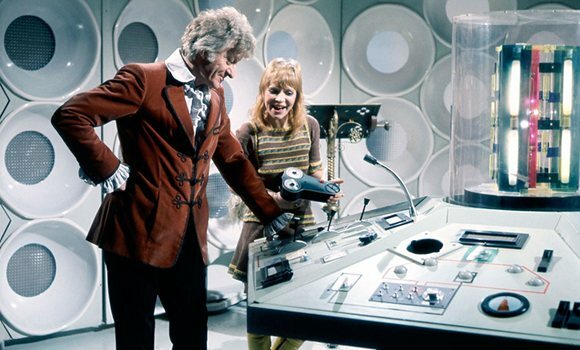 The idea of more than one control room is fantastic, and gives us an answer as to why the console room, and indeed the console, has gone through so many changes since the Doctor was exiled to Earth. Perhaps the Third Doctor couldn’t decide which control room he liked and so changed his mind every now and then. Certainly explains the radically different control room seen in The Time Monster. Hinchcliffe and Holmes worked hard to not trade too much on Doctor Who’s past, even though the stories they constructed alongside their authors often echoed stories and ideas seen through Doctor Who’s then fourteen-year history. The only time the Hinchcliffe/Holmes era featured returning faces was when such things were forced on them, as in season twelve and the returning triumvirate of the Sontarans, Daleks and Cybermen. 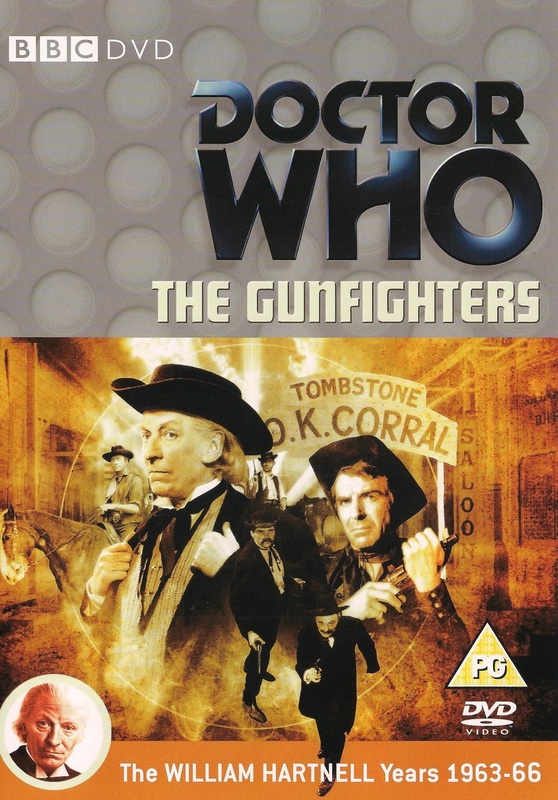 This season is notable for the fact that for the first, and only, time Hinchcliffe and Holmes made the decision to deliberately bring back one of the Doctor’s oldest and most popular enemies. The Master. And with him the Doctor’s first return to Gallifrey since 1969’s The War Games. And what a disaster it is… In fairness, I’m in the minority here, and The Deadly Assassin is a great story, with some really lovely set design, some clever ideas and nice performances. The Master himself is well realised, and they make a virtue of the absence of Roger Delgado who originated the role (but died some years earlier), by showing us a Master at the end of his regenerative cycle; a cadaver clinging on to life, his mind as sharp as ever, but his body a decaying mass. Unfortunately, the society of Time Lords seen in this story is so far from that which we saw in The War Games, and it bothers me. Yes, we have seen many a corrupt Time Lord appear since The War Games (and indeed in that story), and all of those are Time Lords who were exiled, be it by their own choice or by other Time Lords, with a few glimpses at Gallifrey during the Pertwee era, but none of those glimpses went so far from The War Games as The Deadly Assassin does. Here the Time Lords are basically humans doing human things, even to the point of having very mundane television news programmes. There is very little sense of their power, of these beings who have total mastery of time, who can ‘dematerialise’ people from existence with their very minds, who could live forever baring accidents. Now we’re presented with plotting and scheming old men, most of whom seem very absent-minded and obsequious, and all involved in very sub-standard Earth politics, with only a limited number of regenerations. This may make sense in giving the Time Lords a degree of mortality, but it does rather destroy the god-like element they once had. Which is such a shame, as on every other level The Deadly Assassin is a good production. 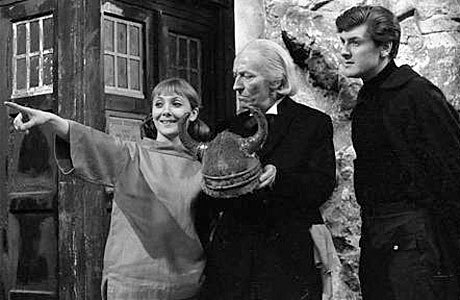 The Masque of Mandragora, The Hand of Fear and The Face of Evil all feel rather mediocre to me. Again, great productions, very inventive, etc, but they just don’t leave me with a sense of awe and enjoyment as most of the Hinchcliffe/Holmes era. They are by no means bad, but they lack the gravity and depth one has come to expect. The Hand of Fear, of course, sees the departure of Sarah, after over three years. It’s interesting that the story is not over-shadowed by her imminent departure, but is rather just a standard Who adventure. And it is pretty standard. There’s nothing that stands out. But the final scenes… Lis Sladen and Tom Baker essentially rewrote the scene themselves, and as a result it’s one of the most underplayed and poignant goodbyes of any companion. Jo’s came close, and none will come as close again within the original twenty-six-year run, with the possible exception of Tegan in 1984, and it pisses over every departure since 2005, except, maybe the departure of Donna in 2008. It has the kind of pathos such a departure deserves. For the first time in possibly forever, the Doctor is saying goodbye to an actual friend. There is an unspoken fondness and love between him and Sarah – nothing sexual, but a deep platonic and mutual feeling. ‘Until we meet again, Sarah,’ the Doctor says, and it’s highly prophetic. The Doctor and Sarah would indeed meet again, several times, and as Sarah whistles Daddy Wouldn’t Buy Me a Bow-Wow you can’t help but smile with the foreknowledge that one day she will indeed own her own special ‘bow-wow’. 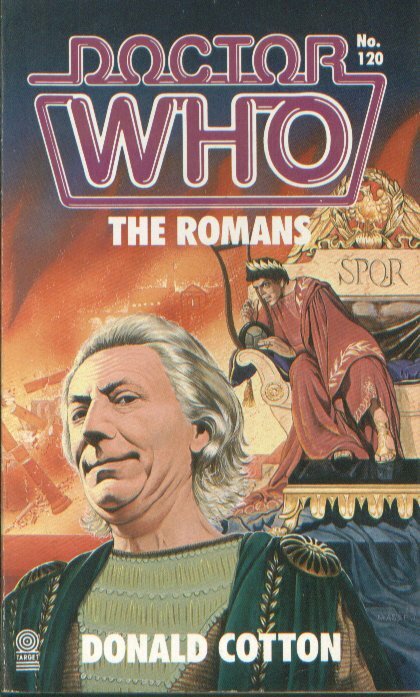 The Face of Evil shows us, as did the opening scenes of The Deadly Assassin, just why the Doctor doesn’t travel alone. Some people argue that The Deadly Assassin only supports Tom Baker’s idea that he didn’t need a companion, but I think it proves the opposite. 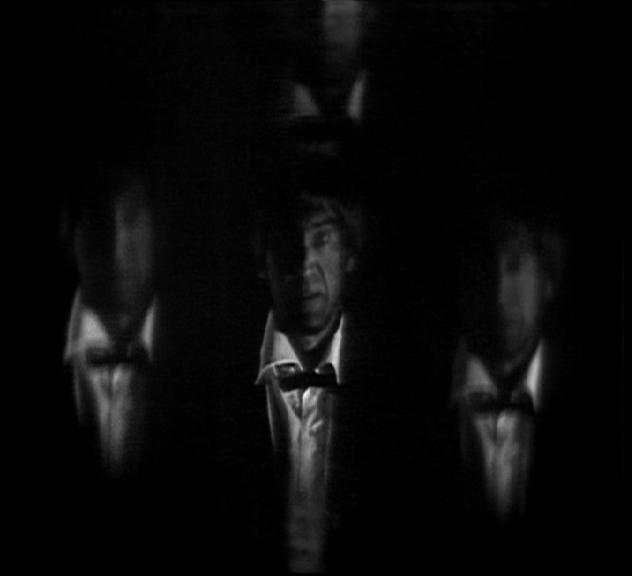 Both it and The Face of Evil show the Doctor talking to himself, or rather the camera, to get across important plot points. It’s awful and takes the viewer out of the narrative, and feels very forced. The Doctor needs someone to spar off, to impart knowledge to, and although any story could supply the Doctor with a one-off companion to fulfil these functions, it would leave each story with clumsy opening scenes. Luckily, Hinchcliffe and Holmes never truly entertained the notion of a companion-less Doctor, and only allowed Tom Baker his head for one story, and so The Face of Evil introduces a new companion in the shape of Leela. A lot of people misunderstand Leela, and think her a simple savage, one who solves things with only violence – this is an unfortunate result of the next season, and the arrival of Hinchcliffe’s successor, Graham Williams (but we’ll come to that in the next rewatch). Under the guidance of Hinchcliffe and Holmes, Leela is a much more complex character than she would first appear. She is undisciplined, uneducated, but she is not simple, not stupid. She is sharp, and like a child, she has an absorbent sponge-like mind. She soaks up every new experience and learns. 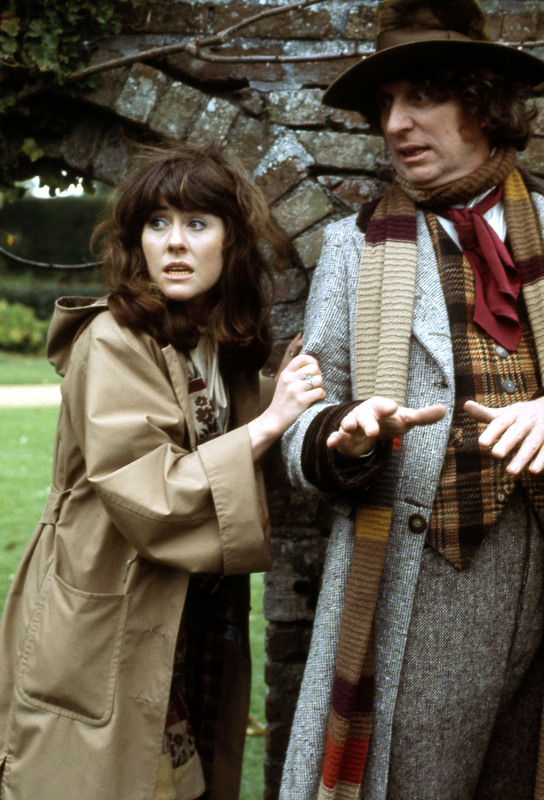 It’s well-known that the producers had in mind a version of Pygmalion with the Doctor becoming a Professor Higgins character to Leela’s Eliza Doolittle over the following season. You see much of this in the final two stories of this season, but alas it’s an idea which quickly gets dismissed next season. Which brings me to the final two stories of the season, and the swansong of the Hinchcliffe/Holmes gestalt. I think it’s a fair criticism to say that the story for The Robots of Death is not the strongest ever – indeed, it wears its Agatha Christie influences on its sleeves a little too well, and the ‘whodunnit’ is very easy to work out. However, that’s not important. What is important in the dialogue, the stupendous design work (both the sets and the costumes and make-up), the incredible visualisation of the robots, and the pitch-perfect casting. It is one of those very rare occasions where everything comes together in perfect synthesis. Even today, thirty-eight years on, The Robots of Death looks fresh, fast-paced with every single actor at the top of their game. Even the model work, often a sore point in Who, looks amazing. The Sandminer has real weight, and doesn’t even look like a model. You can honestly believe it’s the vessel in which the adventure takes place. It’s amazing to think the TV series has never returned to the society that produced the Voc robots, or such twisted people as Dask and Borg. I for one would pay to see Toos return, to see what became of D84 and Pool. Sure, we’ve had audios and a novel, but can you imagine how the Voc robots would look with today’s budget? 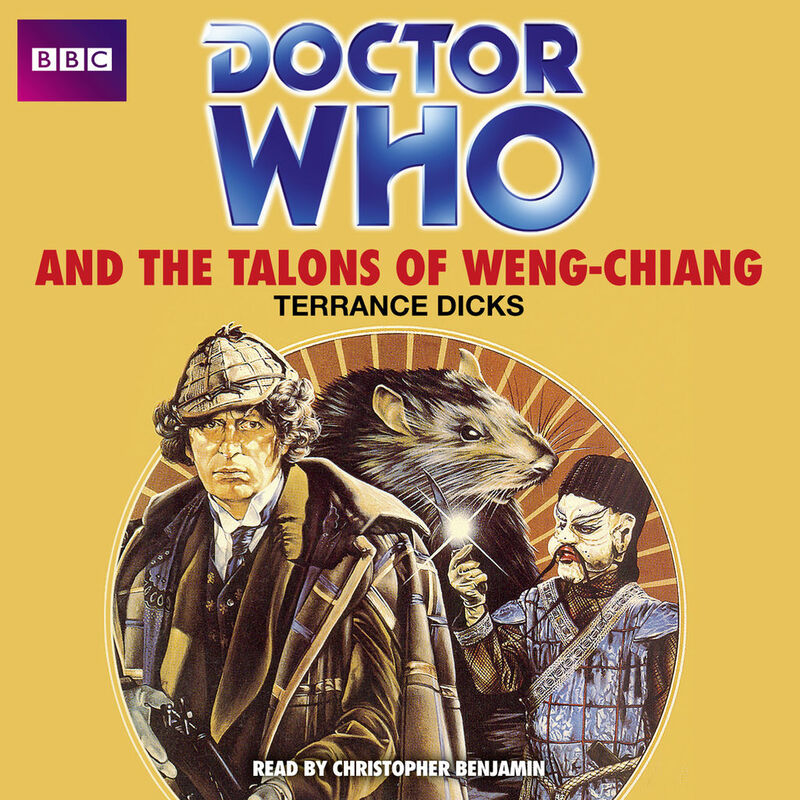 Speaking of budget, Hinchcliffe, knowing that The Talons of Weng-Chiang was the end of the road, spared no expense to go out on a high. And boy, he did it! Talons is a masterpiece of Doctor Who. Robert Holmes’ script is second to none, rich and inventive, with the kind of dialogue very few could hope to match (although commentators do seem intent to try – not least of all on the DVD text commentary – and end up looking silly as a result). The night filming adds layers of depth to the whole thing, with the kind of splendid costuming the BBC always excelled at when given a Victorian setting. Once again it’s perfectly cast, although it seems that today many people take offence at a white man playing a Chinese character. Such offence is understandable on a level, but one has to consider how television was almost forty years ago. Leading Chinese actors were not in abundance, and it was not uncommon for Caucasian actors to take on Chinese roles. And for this story, only the best kind of actor could stand up to the power house that was Tom Baker. It’s cast perfectly, as I’ve said, regardless of today’s sensibilities. John Bennett is the perfect Li H’sen Chang. Doctor Who does not exist in a vacuum, it will always be a product of its time, and it should be judged accordingly. Although Robert Holmes would continue as script editor for a while longer, Doctor Who was under fire for the more mature content of the last three years, and as a result when it returned for season fifteen things would be very different. 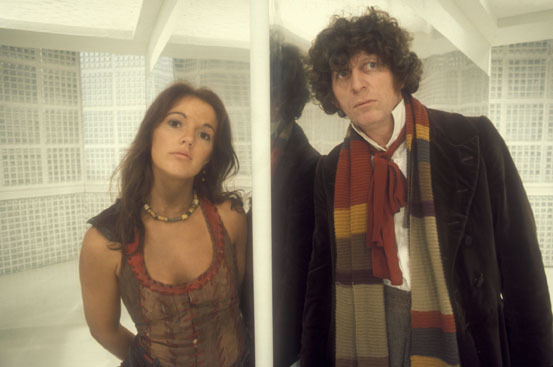 Tom Baker and Louise Jameson would return, but the development of Leela’s character would come to an abrupt halt after only one story, and it would be a long time before Doctor Who reached the heights it achieved while under the stewardship of Philip Hinchcliffe… A very long time indeed. This season brings to the fore all the hints we got in the previous season, with the darker aspects found in such stories as The Ark in Space and Genesis of the Daleks. It starts on a high with the impeccable Terror of the Zygons, the last full bona-fide UNIT story. But this is the UNIT of Hinchcliffe/Holmes, not the ever-cosy family of the Pertwee Era. There’s a different kind of spark between the Fourth Doctor and the Brigadier – a very strong friendship, although it’s very clear the Doctor is, at least initially, sulking at being brought back to Earth by the Brigadier. Throughout this season there’s a definite ongoing acknowledgement that the Doctor is no longer interested in being UNIT’s scientific advisor – it’s explicitly stated in Pyramids of Mars for a start – although he does keep on coming back. Partly this is due to Sarah’s presence, since she made him promise to return her home at the end of Terror of the Zygons, which explains why in Pyramids of Mars they arrived in the correct location, but the wrong time, and why they appear to return to Earth in The Android Invasion. It doesn’t, however, explain why the Doctor was on hand to help out in The Seeds of Doom. Philip Hinchcliffe has gone to great lengths in interviews to explain that he doesn’t dislike UNIT, and would have been happy to keep on using them once a year, but it seems things worked against him. Certainly Nicholas Courtney’s availability became an issue, so in this season twice he’s replaced by a lesser character while the Brigadier is in Geneva. Intentionally or not, this serves to phase UNIT out. In The Android Invasion the only regular UNIT character is Benton, and Harry, and in The Seeds of Doom there’s not a single UNIT character previously known. It’s a shame in some ways. The Brigadier got a lovely final scene in Terror of the Zygons, although they did not know it would be at the time, but poor Benton doesn’t get a goodbye scene at all in The Android Invasion. The last we see him he’s knocked unconscious and replaced by an android duplicate – he could be dead for all we know. Another character who doesn’t get a goodbye scene is Harry – a companion! If he hadn’t been brought back for a needless role in The Android Invasion, then his final scene in Terror of the Zygons would have served as a lovely send-off (alongside the Brigadier). Alas, nobody knew that The Android Invasion would be the last appearance of either Benton or Harry, and both simply never appear again. No goodbye, no fond farewell. This is the season that people think of when they talk ‘gothic’. 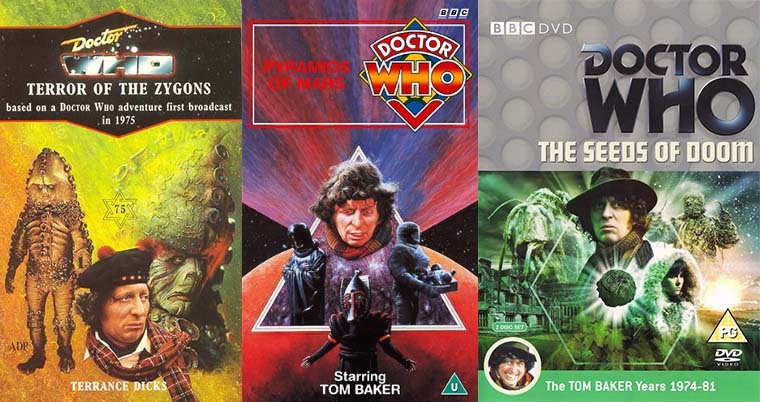 With the exception of The Android Invasion (which is a horrible, although fun, throwback to the Pertwee era), every story this season screams gothic horror, and as a result we have five of the strongest stories ever seen in Doctor Who. Very strong scripts, with cracking dialogue, great performances (some of the best guest stars ever! ), interesting direction… the list of accolades goes on. Of course, nothing is perfect, and despite being a very interesting idea and a well directed piece, I find Planet of Evil extremely dull to watch. I can’t place my finger on why, but it’s the one story this season that makes me want to sleep while I watch it. Even The Android Invasion is fun to watch, and it’s easily the weakest script Doctor Who has had in years – insane plot holes, motives that make no sense, over-reliance on coincidences, another self-mining of ideas from Terry Nation, and a direction that is competent and safe, and as such it stands out among one of the best directed seasons ever. But for all that it is great fun to watch. Every actor in the show gives it their best, there’s some wonderful location work, but none of this can hide the glaring plot issues. 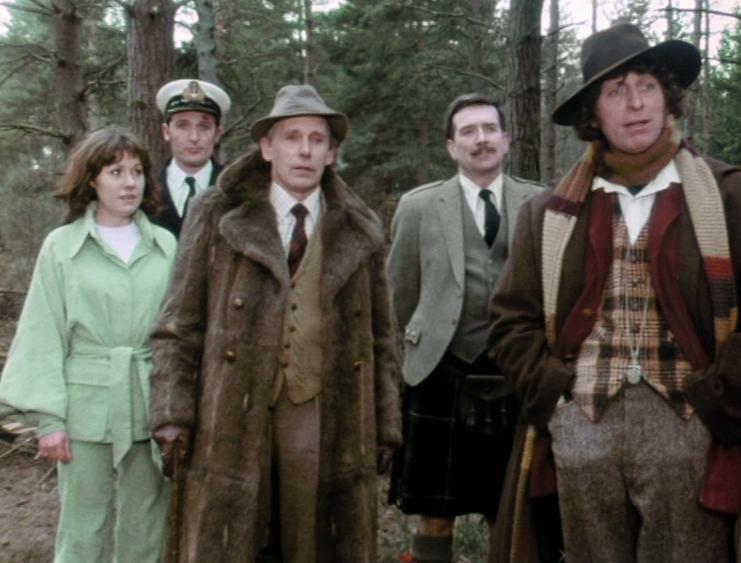 Still, among such greats as Terror of the Zygons, Pyramids of Mars, Brain of Morbius and The Seeds of Doom it was never going to stand out as a great example of Doctor Who. It would have been at home in seasons ten or eleven, but at this point, it just feels like a mis-step and a redundant throwback to an era well and truly over. 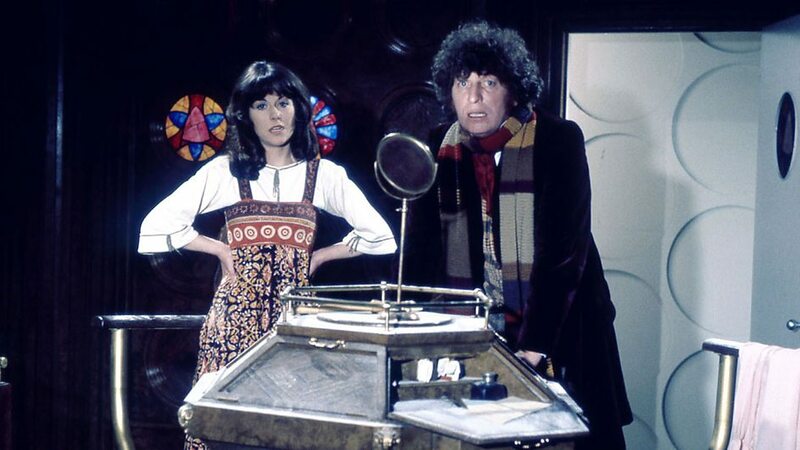 Tom Baker and Elisabeth Sladen continue to shine, going from strength to strength, developing the closest and most enjoyable Doctor/Companion dynamic since the Second Doctor and Jamie, if not the best yet. 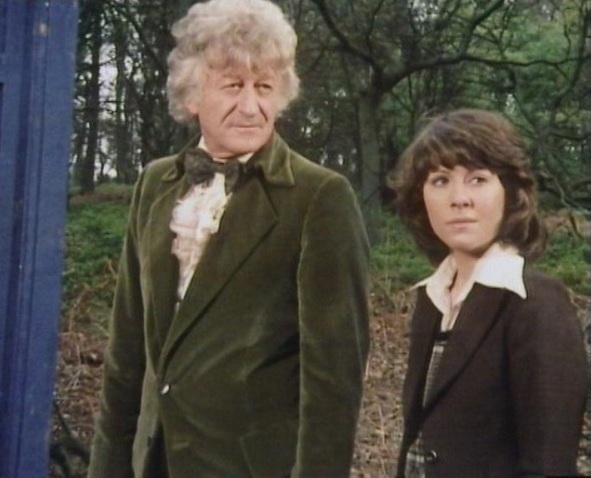 When, in The Seeds of Doom, the Doctor says ‘this is Sarah Jane Smith. She’s my best friend’, you do not question it. Arguably for the first time ever, the companion really is a friend. Before us are two people who love each other’s company, and have no intention of splitting up. Alas, all good things must end, and soon it will be ‘time’ for the Doctor and Sarah… But not just yet. Three years and they are going strong. Sarah and the Doctor. Ultimate team! Yet, it takes a little while to feel like the gothic era that epitomises the stories produced by Hinchcliffe and Holmes. This is, largely, due to the ongoing presence of Barry Letts, who, along with Terrance Dicks, commissioned all the scripts for this season (bar The Sontaran Experiment which was commissioned by Holmes). As such they’re the safe kinds of stories one has come to expect from Letts’ stewardship. Fortunately, after Robot, both Hinchcliffe and Holmes exert their influence, Holmes especially, and the scripts begins to take a darker turn, drifting away from the cosiness of the last five years. This is the year that Doctor Who finally does what Letts and Dicks claim was their goal – taking the Doctor from UNIT and back out into the universe. Of course, UNIT’s presence isn’t completely absent, since we pick up where Planet of the Spiders left of, on Earth with the newly regenerated Doctor assisting UNIT. Robot is an odd one, and feels very out of place among season twelve. It’s too much in the Pertwee template, which at the time was probably a good move, a nice way to reassure the kids in the audience that they were still watching the same show, but in hindsight it does mean the new Doctor is lumbered with all his predecessor’s tropes. Not that it is wholly a bad thing, as it’s nice to see the Brigadier deal with the new Doctor, and new kind of relationship develop. UNIT continues to be present throughout the rest of the season, what with the arrival of Surgeon Lieutenant Harry Sullivan, a Royal Navy doctor working with UNIT and assigned to look after the newly regenerated Doctor. Harry joins the Doctor as his first bona-fide male companion since Jamie almost six years earlier (and, will prove to be the last male companion until 1983). Harry’s great. 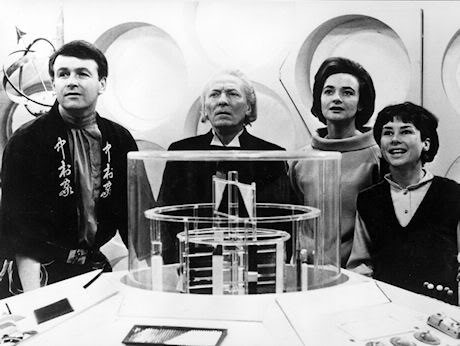 The trio of the Doctor, Sarah and Harry is probably the best TARDIS-team since the First Doctor, Ian, Barbara and Vicki way back in season two. It’s good fun watching the Doctor and his endless exasperation at Harry, who is a man clearly out of his depth, but nonetheless throws himself totally into the adventure. It’s clear the Doctor actually likes Harry a lot, and is, for the most part, simply teasing him. Harry and Sarah and brilliant together too; Harry the ever-protective gentleman, and Sarah the seasoned traveller who doesn’t really need looking after. They develop a very deep and caring relationship over the course of their adventures together, and it very nice to see Sarah bemused by Harry’s inexperience and almost-constant state of wonder. And, of course, this season sows the seeds of what will become one of the greatest Doctor-companion dynamics ever. It takes Sarah a little while to warm to the new Doctor, but they’re soon building a very strong friendship. And yes, it is a real friendship, much like the relationship the Doctor once enjoyed with Jamie. 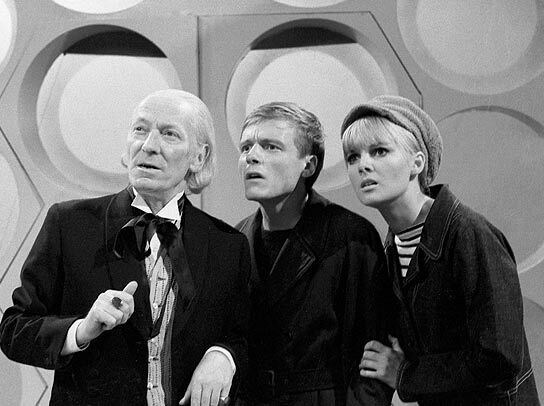 It’s not often, in the series original run, that you got a sense the Doctor and his companions were actual friends. More often than not the companion was the unwilling traveller, dragged around in time and space by a man they liked and admired, clinging on for dear life in the threat of continuous danger. But in Sarah and the Fourth Doctor you get a real friendship. It’s not fully developed this season, but certainly by the time they reach Skaro Sarah feels comfortable enough to question the Doctor on his mission to destroy the Daleks, to challenge him. Another rare thing is evident in this season, back to back adventures featuring some of the Doctor’s greatest enemies. In quick succession we get Sontarans, Daleks and Cybermen. By time we get to Revenge of the Cybermen you start to wonder if they’ll meet Ice Warriors next, or maybe the Master. At this point in the show’s history they really are the only recurring ‘top ten’ monsters missing from the season. Again, it was a decision made by Letts to help ease the new Doctor in, and reassure the younger audience. And it makes sense. Although it does, unfortunately, prevent Hinchcliffe from really making his mark on the show. It’s notable that, after this season, during the rest of Hinchcliffe’s time on the show, we only see one old enemy return, and even then he’s very different from how he was in the Letts’ era. Something else that makes this season quite unique for ‘70s Who; every story leads into the next. Robot picks up from the exact moment that Planet of Spiders ended, with The Ark in Space following on from Harry’s blundering into the TARDIS at the end of Robot. Following this we see the Doctor, Sarah and Harry travel by transmat from Space Station Nerva to Earth in The Sontaran Experiment, and then the same transmat beam being intercepted by the Time Lords while they’re en route from Earth back to Nerva in Genesis of the Daleks. The time ring given to the Doctor by the Time Lords takes him to the early days of Nerva in Revenge of the Cybermen, and even that ends with the Doctor receiving a message from the Brigadier – which then leads into the season thirteen opener. It’s a wonderful narrative flow that hasn’t been seen on Who since season two, when every episode had individual titles and the viewers never knew for sure when one adventure would end and lead into the next. Such ongoing narrative won’t be seen again until seasons sixteen and eighteen, and, in a small part, through some of season twenty. And then, not again, until 2005 and the first series of Nu Who. 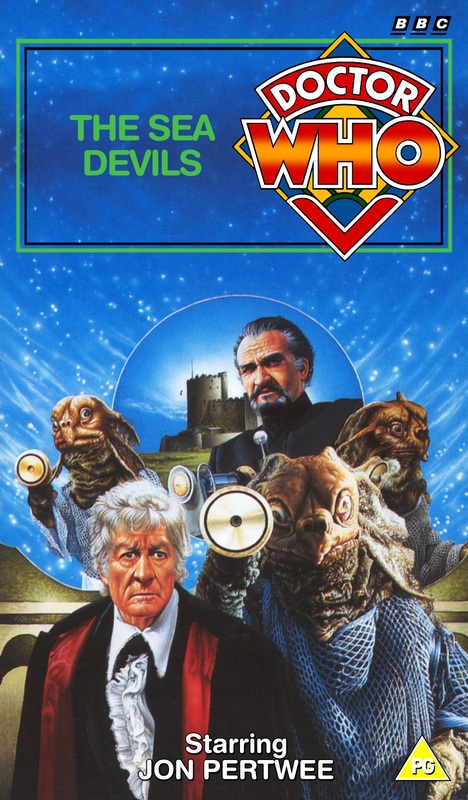 As mentioned in my previous re-watch entry, I’ve been finding the Pertwee years becoming way too safe, and consequently predictable. 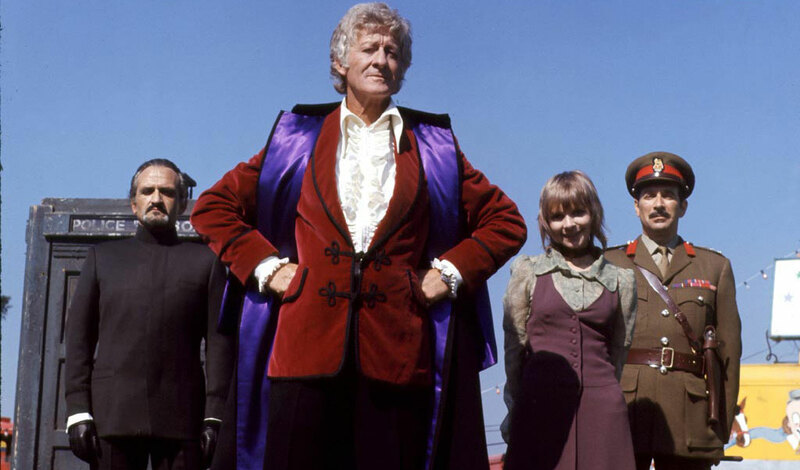 UNIT, the solid ‘family’ of which the Third Doctor became a part, has slowly been relegated to guest spots, to open and close the seasons, as the producers finally do what they claim they always wanted to do, and that is get the Doctor off Earth again – or at least travelling in time. Arguably, this didn’t happen as quickly as people seem to remember. But with the departure of Jo, it seems that the Doctor’s ties to UNIT are being severed even more. The Doctor has even less reason to stay on Earth, yet as the season opens for some reason on Earth is where we find him. Perhaps this is due to his friendship with the Brigadier? 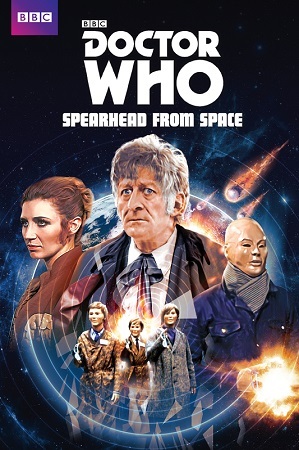 Curiously, though, for the first time since Pertwee took over, this season opens with a story in which UNIT only makes a passing appearance, and the Brigadier only a handful of scenes. And you know what, I found I didn’t mind. This is in no small part due to the arrival of the Doctor’s new companion – a real mould-breaker, in the shape of Sarah Jane Smith, or Sarah as she is more commonly known (or was, at least, during the original series run). Sarah is without doubt the most well-known Doctor Who companion, especially now after the hit spin-off TV show of recent years, and it’s not without reason. From the moment Elisabeth Sladen walks on set, it’s obvious a whole new kind of dynamic is about to be enjoyed. And what a dynamic! From the off, Sarah comes across as a strong character, a young woman (23 years old, during this season) with her own mind and, more importantly, her own career. And that’s another triumph of Sarah – especially this season. In her first appearance we see her working – under cover to get a story for her magazine, and each time she returns to Earth she’s soon working again, using her contacts and looking for a good story. It’s also great the way they gradually develop her view on aliens. In Death to the Daleks she’s almost bemused by the Daleks, and doesn’t at first see how they can be a threat, and yet is initially terrified by the Exxilons, and later remains uncomfortable with the loveable Bellal. This continues in The Monster of Peladon, but I think by the end of that serial she’s getting used to it. Until she encounters giants spiders, that is! It’s a nice bit of character development, and a perfectly natural reaction for someone with such a strong sense of self when taken out of their comfort zone. All this just adds a nice sense of freshness to season eleven. There’s a nice sense of ‘looking back’ throughout this season, which I find rather touching and apt. 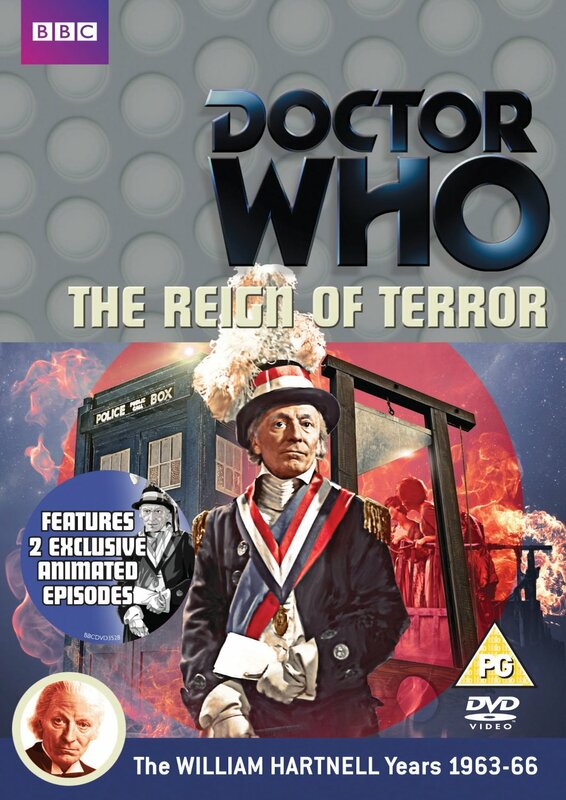 In so many ways this season is about celebrating the five years that Pertwee had been in the role. Making sure he went out on a high. Invasion of the Dinosaurs harkens back to The Green Death with Yates’ betrayal, and The Monster of Peladon is, I believe, the first actual direct sequel Doctor Who has ever done. 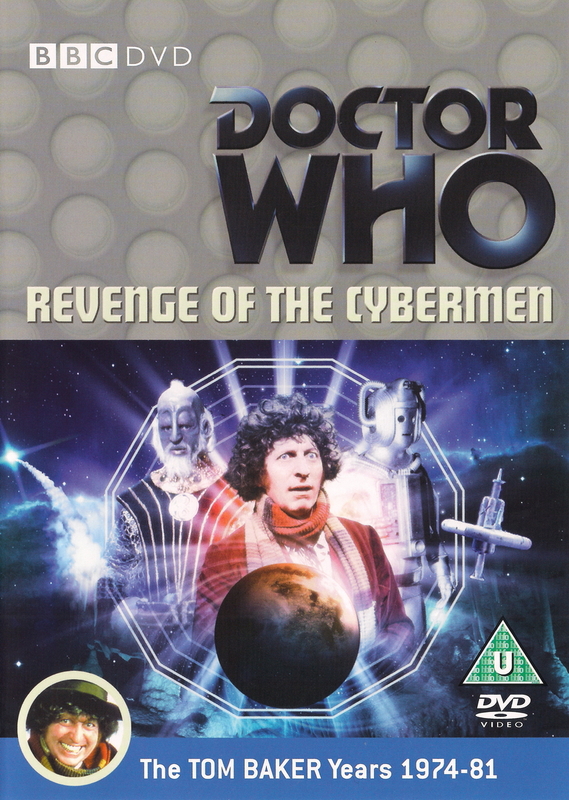 Loads of follow ups, with return monsters, but never before has Doctor Who returned to the same alien world, featured the same characters, and off-spring of previous characters. It’s a very rare thing, and honestly works on every level. 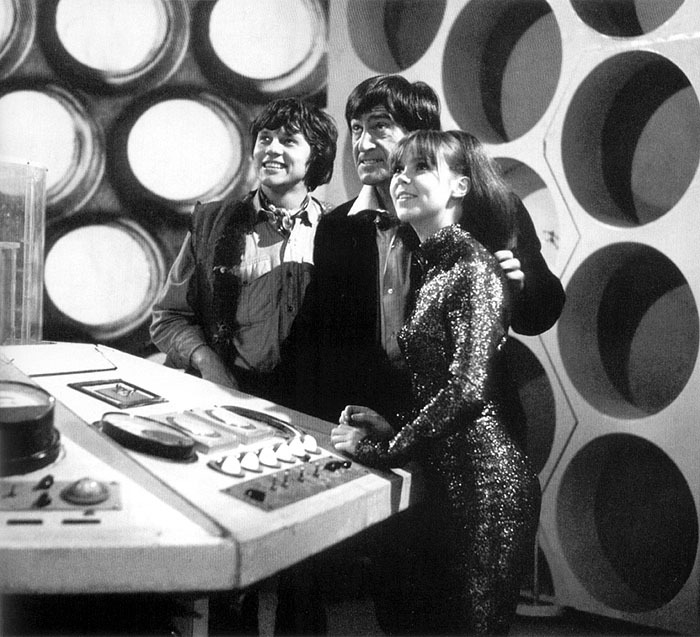 The biggest ‘look back’ is the finale – Planet of the Spiders is replete with winks to the last five years, full of actors who have already appeared in a Third Doctor adventure, and a very plot-centric follow-up to Jo’s departure – another first for the show, since never before has the previous companion’s story been followed up in such a concrete way. There have been mentions of previous companions before, usually just after they leave, but here we actually learn something of what happens to Jo after she got married and started her trip down the Amazon. Not only that, but this information, and the blue crystal she returns to the Doctor via post, is a key element of the season finale. And that was not the only first this season. It seems to be a season of firsts, where Doctor Who history is made in small but important ways. Arguably, the most importantly was in The Time Warrior when, for the first time, the Time Lord’s planet is named; Gallifrey. Strange that such an iconic moment happens in a story totally unrelated to the Time Lords. Later in the season, two more little bits of Doctor Who history are made when in Planet of Spiders the word ‘regeneration’ is first used to explain the life-extending trick of the Time Lords – their ability to change their bodies when they become too old or are dying. Up until this point, in fact, there has been no evidence that it is something particular to Time Lords in general, or just something the Doctor can do. But seeing K’ampo regenerate pretty much seals that up. In the same story we also, finally, after six years, learn the Brigadier’s first name; Alistair (although spelt ‘Alastair’ in the script — which makes one wonder when it became officially ‘Alistair’?). It’s a small moment, not even commented upon, but it comes about in a very sweet scene, a moment of genuine friendship between the Doctor and the Brigadier when an old romance of the Brigadier’s is revealed in the brief tale of Doris and he at Brighton several years earlier. It’s very hard to choose a favourite this season, since they are all very good stories. Even Terry Nation’s Death to the Daleks is good – a vast improvement on his previous Dalek story, although still a bit of a greatest-hits of ideas. In this case though it’s the guests performances, the chemistry of the Doctor and Sarah, and the introduction of the Exxilons, that rises it above Nation’s usual fare. 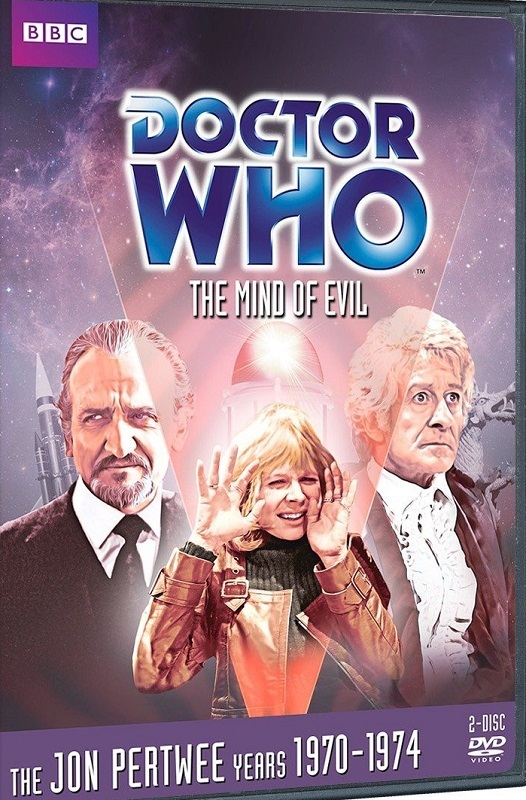 Plus, it was one of the very first Third Doctor stories I saw on VHS way back when, so I can’t deny it has a certain nostalgic value – and nostalgia can cover a multitude of sins. I do feel that, from last seasons The Mutants, the Third Doctor era starts to fall apart. Both that and The Time Monster are not especially good, both looking tired and cheap. And such a lacklustre sense of phoning things in pervades season ten. The only real exceptions are the season opener and finale. The Three Doctors is a fun romp, despite the Brigadier being very out of character in it, with some great performances and the triumphant return of Patrick Troughton. A real shame William Hartnell was so ill during filming, as his presence is almost painful to watch, and only adds a sense of depression to the whole thing. 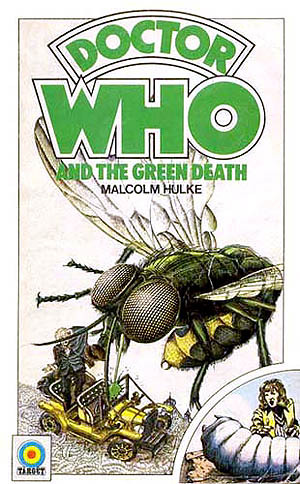 And the season finale, The Green Death, is the best example of a UNIT story. It features some of the best Brigadier moments, and seeing him out of uniform and calling both the Doctor and Jo ‘friends’ is wonderful. He really suits the more personable side of the character, and it is a shame we see so little of his private life within the series. The glimpses show a very nice guy, very down to Earth, the kind of man who prefers a pint and is more than happy to kip at a pub. And he smokes! Albeit only a cigar, but it shows an interesting aspect of the man we so rarely see. And, of course, The Green Death is where we say goodbye to Jo. She’s been a wonderful companion — her relationship with the Doctor has been sweet, touching, and a joy to watch. 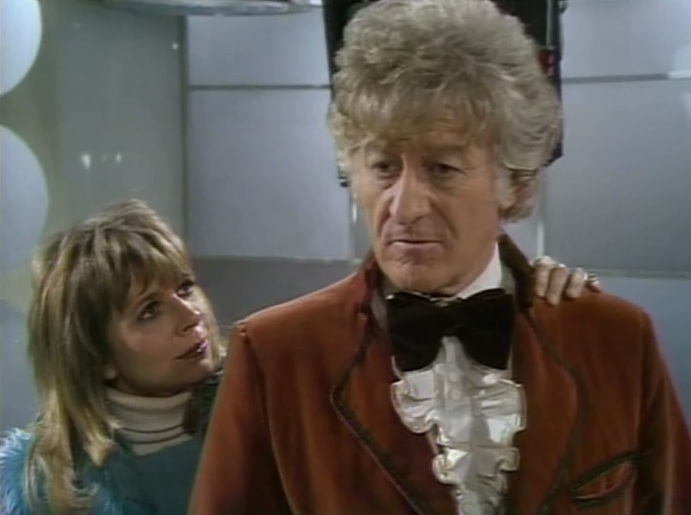 Their final scene together is supremely sad, and both Katy Manning and Jon Pertwee play it for everything its worth. Every Doctor has his companion, the one who will always be associated with him above all others, and for the Third Doctor it will always be Jo. As for the rest of the season. Well, Frontier in Space is good, albeit with a very simplistic, almost childish, view on politics. But for all that, it’s a nice ‘space opera’, that sets up a truly epic return for the Daleks, as they, through the Master, manipulate a massive space war between the two biggest interstellar powers — Earth and Draconia. Which leads into Planet of the Daleks — a very drab piece of Doctor Who that recycles almost all the best elements from Terry Nation’s previous Dalek stories of the ’60s. I’ve had a long discussion on Facebook about this story, and I still don’t understand what went wrong. There is so little correlation between it and Frontier in Space, which goes to such lengths to set up the threat of the Daleks and their plan. All of which is pointlessly side-stepped throughout Planet of the Daleks, with only one mention of the space war, and even then the reason is very different from that established in the previous story. And the worst thing is, there really is no reason for it. Barry Letts and Terrance Dicks oversaw both stories, and they had to okay Nation’s scripts, so who is to blame for the lack of flow and continuity between stories? Blame to share, I think. Not to say there isn’t some good material in Planet of the Daleks, but it just feels very tired as a story, a re-run of many 1960s Dalek stories. Only story I’ve not mentioned is Carnival of Monsters. Other than the stuff on SS Bernice, and the Drashigs, there is nothing, in my opinion, to recommend it. Awful, tired, boring and so very dull. At this point, Jon Pertwee is the longest running Doctor. Which should be cause for celebration, except this season, for the most part, feels very tired. Some fresh blood is needed. 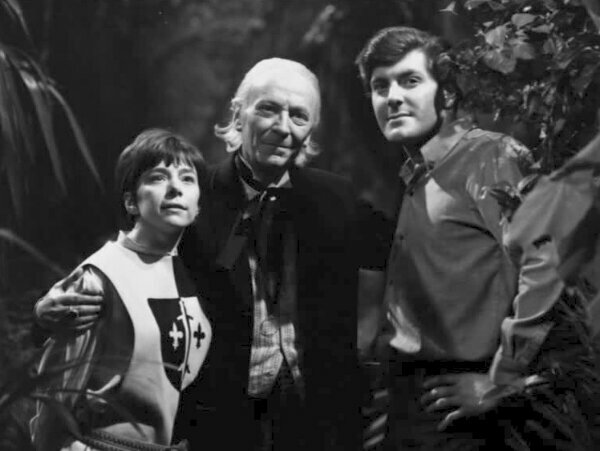 Throughout the ’60s Doctor Who continued to feel fresh, even if not always good, because the regular cast and the production crew changed almost every year (of course, the Doctor remained, but with companions coming and going, the dynamic of the lead character continued to be invigorated). As a result, not only are the character dynamics kept fresh, but there remained a sense of change, of trying something new — taking a lot of creative risks. So far, we’ve almost had half a decade of the ’70s and, with the exception of the opening volley of season seven, it’s been run by the same people. And ideas and freshness is beginning to dry up. Doctor Who has, at this point, become too cosy, too safe. The character dynamics don’t really change, there’s no real creative risks. Letts and Dicks have found a formula that works, and they stick to it. Which is fine, and the fact is the Third Doctor remained consistently popular throughout his five years. So, clearly, the show was doing something right. At the time. But looking back, re-watching the series as a whole, the cosiness of the Third Doctor era works against the show. I think the problem with this season, if indeed it is a problem, is the lack of UNIT. Oh, they are in it, but only in the first and last stories of the season. 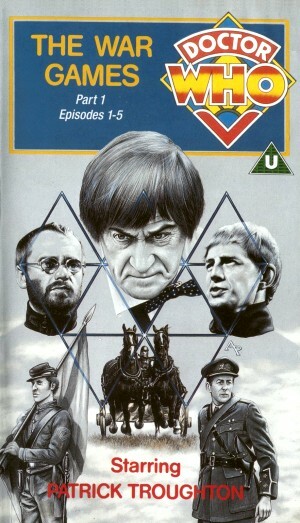 And so the arc of the last season, UNIT vs the Master, is oddly absent this year, although it is followed up on twice. But without the continuing arc, it does make this season feel a little schizophrenic. Not that having different kinds of stories, with different settings and guest characters is a bad thing, after all Doctor Who has been doing that since the very first story. But after two seasons of UNIT as a regular feature, their absence feels a little odd. And not, unfortunately, refreshing. You get a kind of UNIT stand-in, in the shape of the Royal Navy with Captain Hart standing in for the Brigadier — which isn’t too bad, really, since it continues a well-established dynamic, and gives a wonderful chemistry between the Doctor and Hart. But it’s still not enough. The recieved wisdom is that the Brigadier and the Third Doctor were a regular duo, but that’s only really true for two seasons. After that both the Brigadier and UNIT only appear a couple of times a season, and that begins here, with the third year of the Doctor’s exile. His exile is not absolute, of course, as shown last season in Colony of Space. This season we get two examples of the Doctor travelling off to distant worlds, at the behest of the Time Lords. And boy, they couldn’t be two more different stories if they tried to be. On the one hand, much like Colony of Space, they do continue to develop the ‘future history’ established in the Third Doctor’s era, as humanity spreads out among the stars and continues to be a nuisance for every race they meet. The Curse of Peladon is a great example of a future story under the producership of Barry Letts and Terrance Dicks. Everything about this story pretty much works, from the disparate alien races, and there are quite a few, to the guest cast, camera work and sets. (And making the Ice Warriors turn out to be good guys is a stroke of genius!) And then you have The Mutants… Everything Peladon is not. Cheap-looking sets, some of the most atrocious acting from guest stars, and a story that’s interesting but not very well structured, with some really clunk dialogue. Thankfully the mutants of the title are well realised. What of the three Earth-based stories? Well, two of them involve time travel in some clever ways, with a well-realised predestination paradox in Day of the Daleks — a bit of a rare treat for Doctor Who really, since it doesn’t do such time travel stories very often. It’s nice to see the Daleks back, too, even if their voices are ‘off’ (well, that’s what the experts say, but I don’t buy it. The Dalek voices were not universally the same in every previous story, and their distinctiveness in this one just adds to the appeal for me). Great performances from every single guest star in Day of the Daleks, too! The other time travel Earth-based story features another look at Atlantis, and a brand new TARDIS console room (see the pic above!). And it looks lovely! Different from what came before, but similar enough to resonate a sense of comfort. It’s such a shame that they never used it again as it would have helped set the Third Doctor’s TARDIS apart, given him his own console room. Alas, the room seen in The Curse of Peladon is pretty much a standard configuration, much like the one seen last season, and then one we’ll see for the next few years.